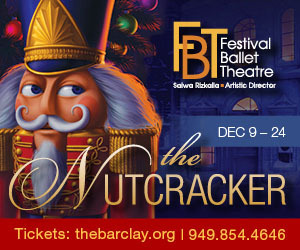 The North County Dance and Performing Arts Foundation proudly presents the eighteenth annual Nutcracker ballet at the Templeton Performing Arts Center for one weekend in December. This production has come to be cherished by the local community as a traditional rendition of the holiday classic appropriate for audiences of all ages. Professional guest artists, many members of the community and professional choreographers come together to make this production truly grand. Cast members train at Class Act Dance and Performing Arts Studio in Paso Robles and dancers in the Paso Robles Chamber Ballet are featured in the leading roles. Under the direction of Cheryle Armstrong and Amy Wescom, this production features brilliant costumes and festive sets to compliment Tchaikovsky's beloved musical score. 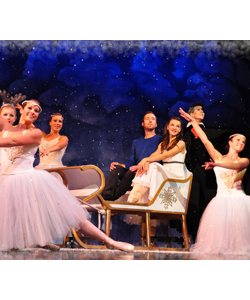 The Annual production of the The Nutcracker Ballet comes to the Templeton Performing Arts Center.